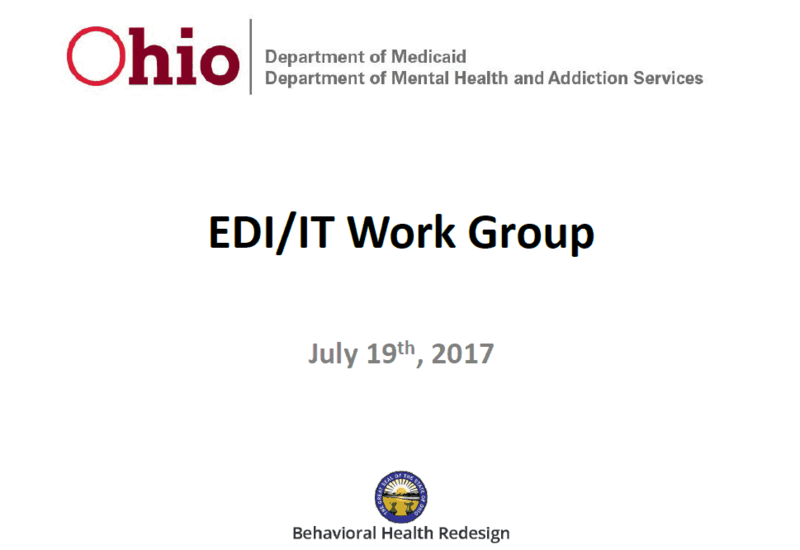 Slides for today’s EDI Workgroup at Medicaid are now available here. 1. As of 07/17, we have 113 BH Agencies without affiliated providers. 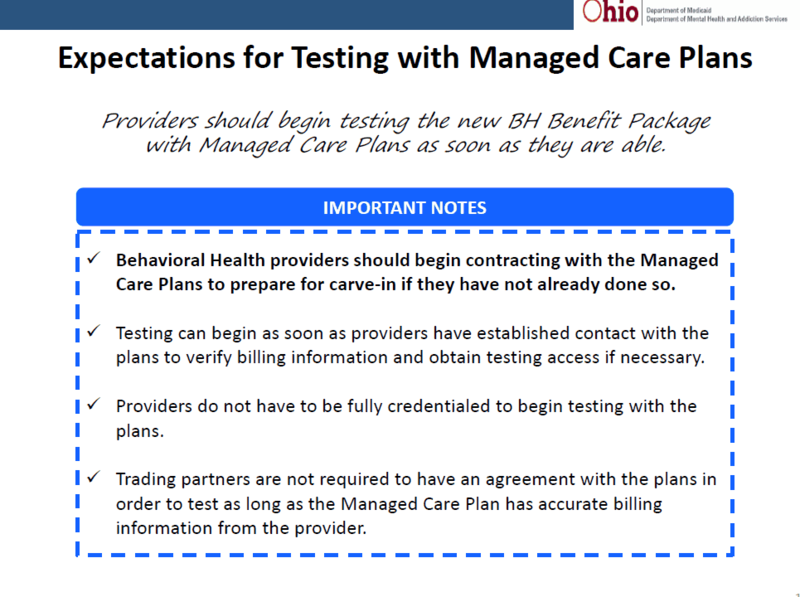 This is before the new requirement of registering all dependently licensed providers. 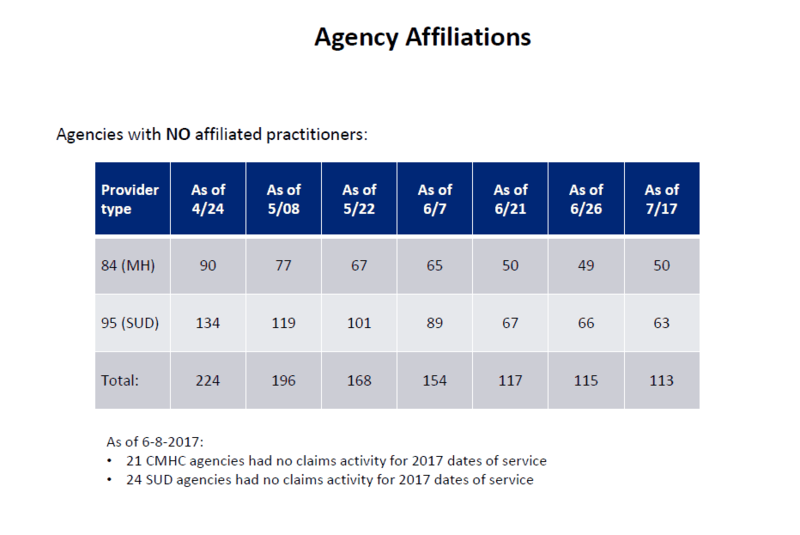 45 of these agencies had no billing activity in 2017. 2. 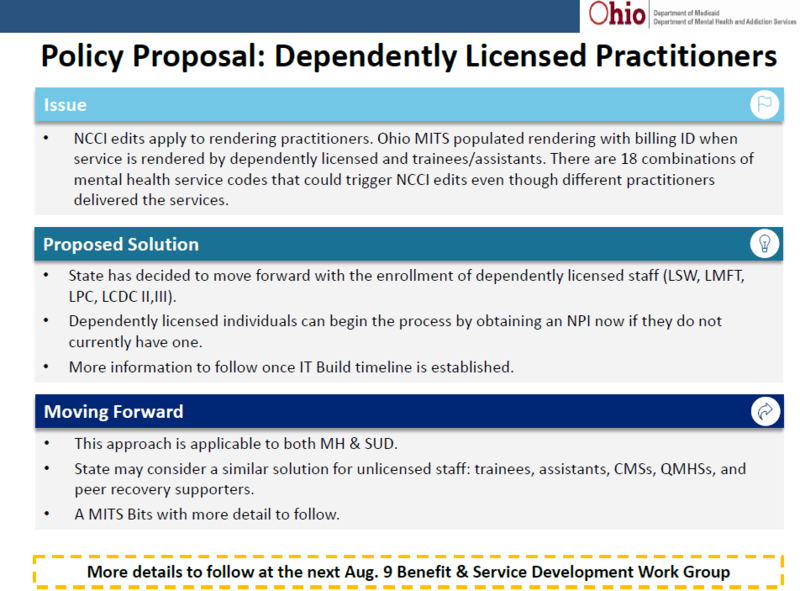 Dependently licensed providers may be required to register with Medicaid (possibly unlicensed as well). 3. What happens to the provider modifiers all vendors have been struggling to get into their systems to meet the requirements? Make the time to be on today’s call.